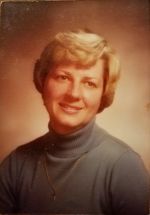 Obituary - Marcia S. Hayduke - Bentz Funeral Service, Inc. In lieu of flowers, kindly consider the Stevens-Swan Humane Society or the Oriskany Falls United Methodist Church. Marcia S. Hayduke, 76, of Oriskany Falls, passed away Tuesday, April 2, 2019 at Bassett Hospital in Cooperstown, with her family by her side. She was born July 18, 1942, in Oriskany Falls, the daughter of the late Carleton and Ruth McGovern Sykes. She was a graduate of Oriskany Falls High School Class of 1959 and received her Associate's Degree from Central City Business Institute in Syracuse. On December 14, 1979, at the Oriskany Falls United Methodist Church, she married Raymond F. Hayduke. Mrs. Hayduke retired after 25 years as an Executive Secretary at Sherwood Medical (Cheseboro Ponds) in Oriskany Falls. After retirement she worked for several years with Richard Zweifel, CPA in New Hartford. She was an active member of the Oriskany Falls United Methodist Church, where she taught Sunday School, sang in the church choir, volunteered in the office and held many positions, including Treasurer. She was also a member of the Bell Tower Chapter #188 O.E.S. Marcia was a strong person who fought and beat breast cancer twice. In every adversity in her life, she faced it with bravery and strength. Even through these battles, she still continued to do the things she loved, like taking care of her animals and supporting her family. She will be remembered for her love, strength and legacy she leaves behind. She is survived by her husband of 40 years, Ray; three step daughters, Mary Beth (fiancée Tom Williams) Hayduke of Waterville, Lisa (Peter) Petriekis of Deansboro and Michelle (Benjamin) Boehlert of Oriskany Falls; two brothers, Richard (Chick) Sykes of Augusta and Joe (Karol) Sykes of Oriskany Falls; seven grandchildren; three great grandchildren; and several nieces and nephews. She was predeceased by her sister, Sandra Sykes; and her brother, Roger Sykes. Memorial services will be Saturday, April 20, 2019 at 5 pm at the Oriskany Falls United Methodist Church, with Rev. Gary Spraker officiating. Private interment will be in Hillside Cemetery, Oriskany Falls. Per Marcia's wishes there will be no calling hours. In lieu of flowers, kindly consider the Stevens-Swan Humane Society or the Oriskany Falls United Methodist Church. Bentz Funeral Service, Inc., New Hartford. Sorry for your loss. She was a great friend to me also. I will miss her. Thinking of you. God be with you. Ray, we were so sorry to hear of Marciaâ€™s passing. May God give you comfort at this most difficult time. You and your entire family our in our thoughts and prayers. Our deepest sympathy to Ray, the Haydukes' and the Sykes'. Our thoughts and prayers to you, Ray, and to all the family that loved her. Ray and family, so sorry for your loss. Our thoughts are with you. Im so sorry for your loss Ray. Prayers are with you. Ray: So sorry four loss. Our love and prayers are with you at this difficult time. Marcia will always be with you in your memories.